You can test our services for free by opening a fully-functioning demo account with Superforex. This type of account is perfect for testing different trading strategies and building your forex trading skills. However, you cannot generate real monetary profit with a demo account. When you are ready, you can register a live account in order to start earning from successful deals. SuperForex is an international brokerage house licensed by the International Financial Services Commission (IFSC). We provide top quality financial and investment services to individual and corporate clients on more than 100 markets across Europe, Asia and the Middle East. We grant our clients access to a large selection of financial instruments for algorithmic or self-trading, money management and investment. Our dedicated team of highly educated and experienced professionals constantly works on the development and perfection of SuperForex services. Professional services, innovation in technologies, openness and compliance - those are just some of the reasons behind our customers’ choice. It is our passion and devotion to the business and industry that make us different from our competitors. 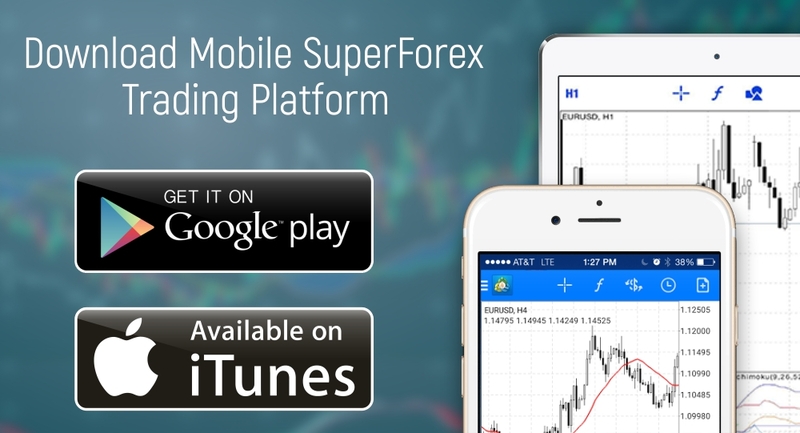 At SuperForex we are committed to developing and implementing top-notch technologies and high level of services to satisfy even the most demanding traders. As we recognize the importance of doing business in a safe and stable environment, all of our activities are based on transparency and honesty. We provide our customers with a large selection of financial services and investment products to trade successfully with and offer a variety of trading options designed to suit the needs of both private and corporate clients. We at SuperForex know the value of money; we know how important it is to our traders, too. This is why we have devised a sophisticated fund security system to ensure that whatever you deposit to your accounts is available to you at all times. Clients can choose among a great variety of secure payment options such as Bank Wire, Skrill, Visa, MasterCard, Neteller, among others. Our website uses an SSL certificate to protect your data. Your money is also safe at all times thanks to our segregated accounts policy. Additionally, we offer our clients a deposit Insurance which allows our traders to hedge their investments from losses. The device or IP you are trying to log in from was not recognized by our system. Always check the green address bar which confirms the high level of data security and originality of authorization form. With out url address my.superforex.com) SSL is designed to establish encryption and identity assurance. It enables encrypted communication between a web server and a web browser. SSL ensures that all data passed between the web server and browser remains private and secure.